Many Russian Orthodox communities throughout Alaska celebrate Christmas with a tradition known as Selaviq or Starring. Selaviq celebrates the birth of Christ through the sharing of song and prayer. The tradition began in the 16th Century in the Carpathian Mountains of the Ukraine, and was introduced to Alaska by Russian Orthodox priests. Russians celebrate Christmas on January 7th according to the Julian calendar. Following Christmas church service, parishioners begin a procession with a large wooden star leading the way. The fabricated star represents the Star of Bethlehem. The procession symbolizes the journey of the Three Kings who followed the Star of Bethlehem to the birth place of Christ. Selaviq can last for several days as the procession travels from house to house. The events at each home can take several hours, the size of the group increasing as the hosts join the procession to the next house. 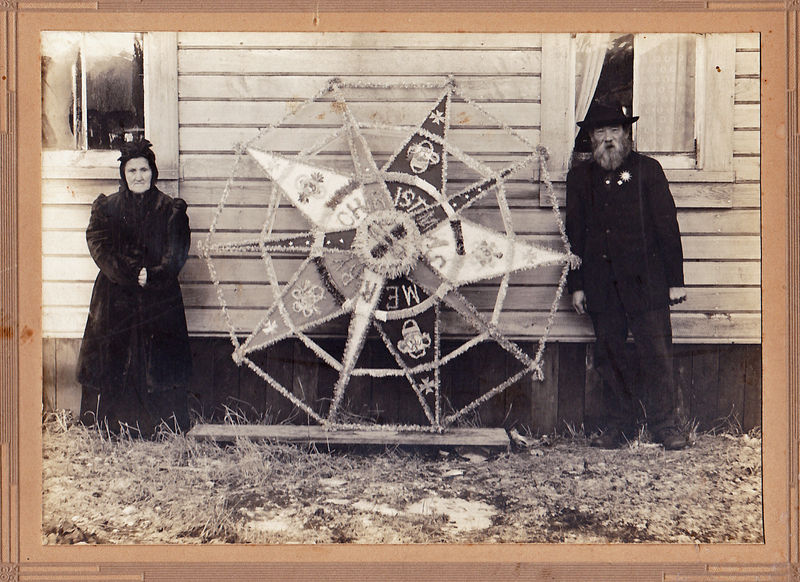 The procession enters a home singing while spinning the star. Hymns sung throughout the song service are typically traditional Ukrainian folk carols and Orthodox liturgical selections. A sermon or prayers follows the songs. Then food, candy, and gifts are distributed, with many participants eating an incredible amount of food over the course of the multi-day celebration.